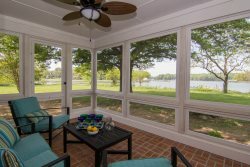 We have been renting some very nice vacation homes in Oxford since 2010. We really love staying at Crossview on Morris St. We first went there in 2010 before it's renovation, now it is perfect and the view is perfect and we love going to the Deli Store and little shops and riding the Ferry and eating at the good restaurants in town. Beautiful area, easy to rent and gorgeous accommodations at Oxford Beach Cottage. We had a wonderful vacation at Bird Dog Run. We had our twin 16 month old grandsons along and the pool was a definite plus for all of us. We also enjoyed time on the porch and patios which is what we rented this property for. All the staff at Eastern Shores were very easy to talk with and most accommodating and helpful. Thank you for sharing your home. We would love to return! The Queen Anne is top-notch!